On a very wet and misty day at the British seaside what on earth is there to do?? If it’s a Friday then it is an excellent opportunity to visit a Landmark Trust property on changeover day, if there happens to be one handy. 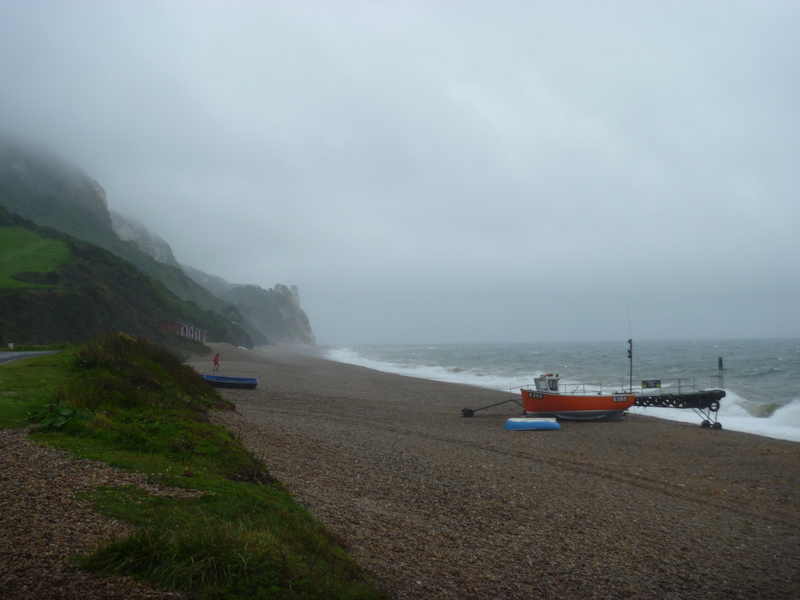 So, with an appointment made, I set off to walk the mile or so from my beach chalet, by the sea at Branscombe, to visit Margells at Street, on the western edge of the village that is not a village (according to historian W. G. Hoskins) – Branscombe. 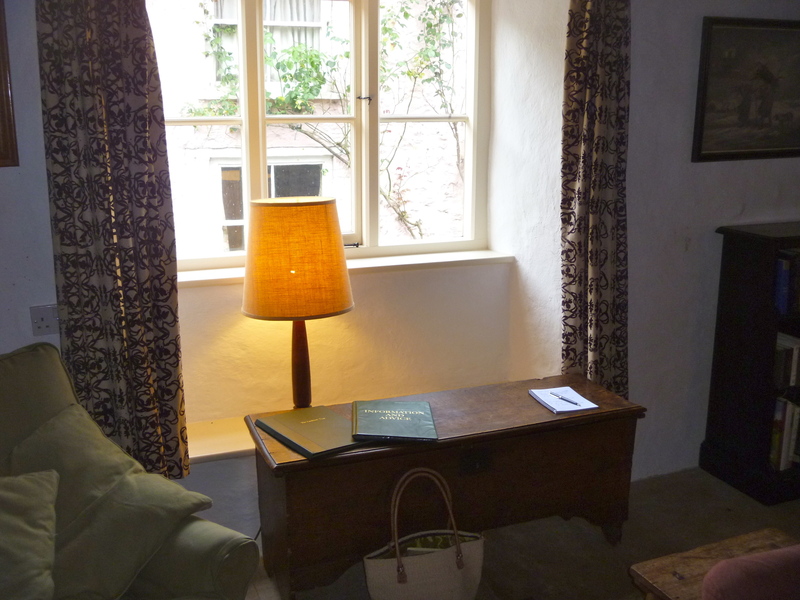 Arriving at Margells (it’s a hard ‘g’) I was welcomed by the Housekeeper who asked me whether I would like to read the History Album (yes, I would) whilst she made the beds upstairs. 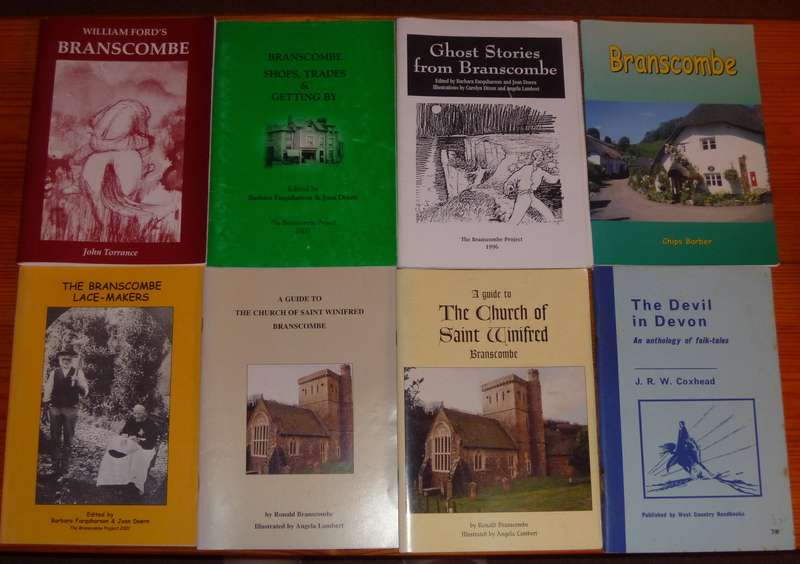 I also expressed an interest in looking at the library and offered to put the books back into some kind of order. This gave me the opportunities that I needed to study the history and the books – two of my favourite Landmarking occupations. 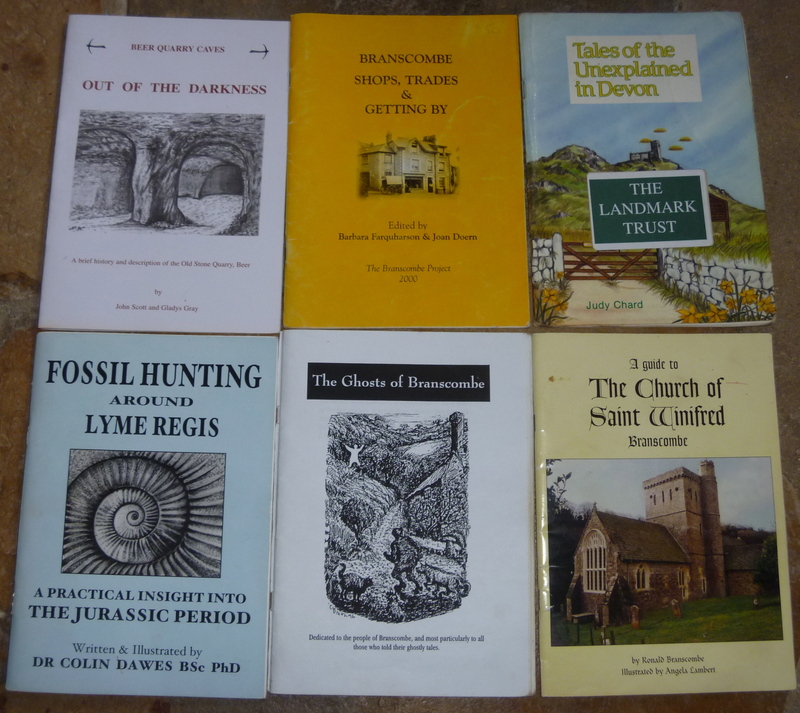 From the History Album I discovered that Margells was a bit of a mystery to both the Landmark Trust and the historian who had been employed to supply information to the Trust before it proceeded with renovation in 1975. 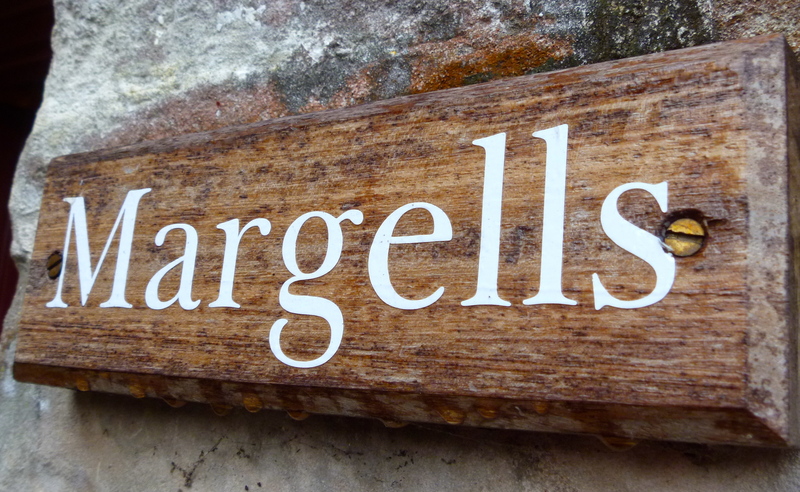 “Margells was originally a hall house, open to the roof, and probably built in the late 15th century. 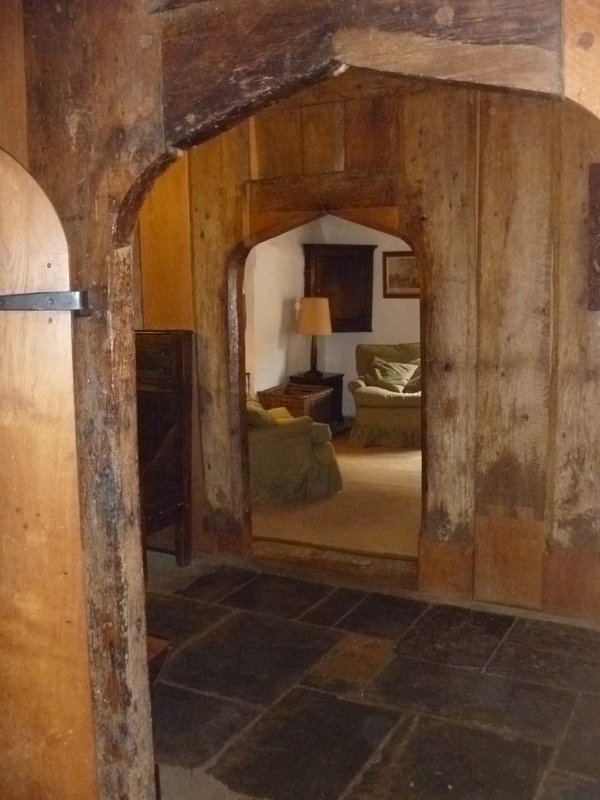 The frame is a very early construction, the cruck coming at first floor level. 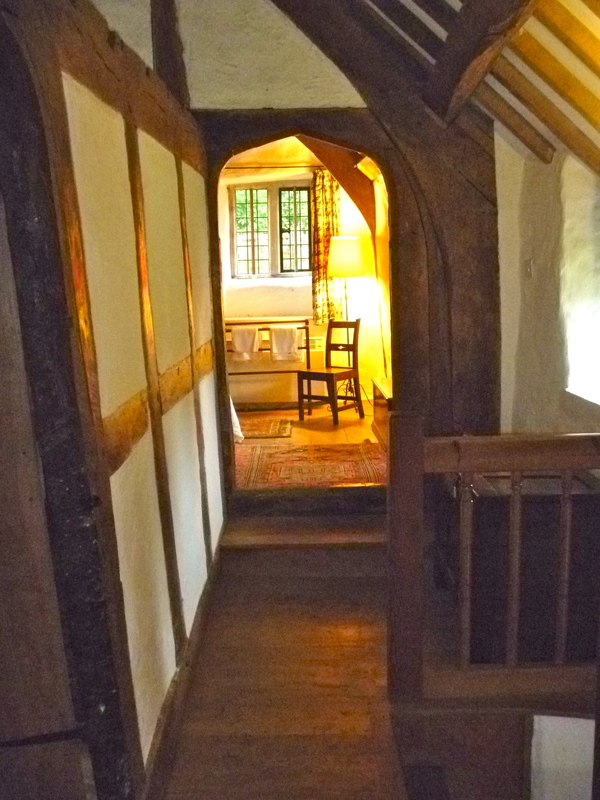 There would have been a sleeping gallery at first floor level reached by a ladder type stair probably from the sitting room side, using the rounded door which now goes into the painted bedroom. About a hundred years later the present first floor was put in, making two big bedrooms. The fine coffered ceilings are typical of this period … The spiral stair would have been added at this time. It is made of solid blocks of chestnut, except for the top two treads which are oak, as is all the rest of the wood used in the house. At about this time, the two fireplaces were built on, added to the outside of the house. 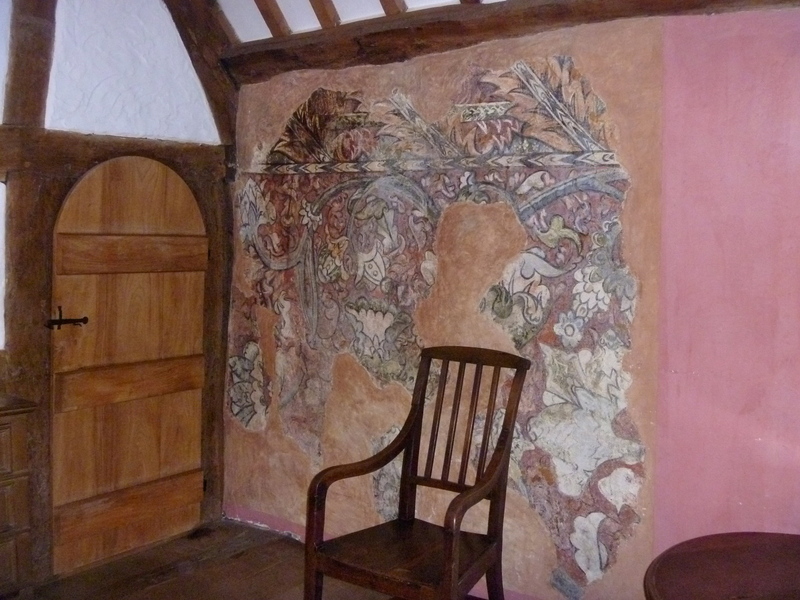 From The Landmark Trust website. 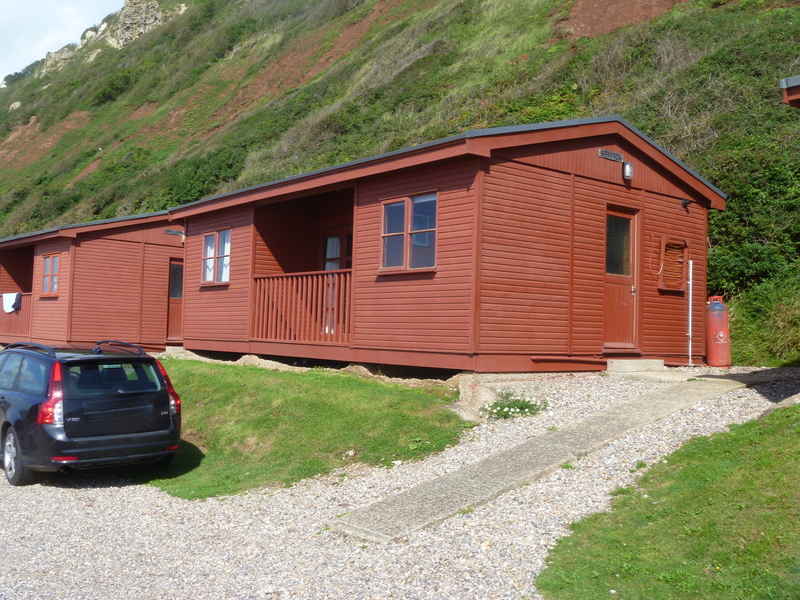 When friends visited me at the beach chalet last year they declared it to be like a TARDIS. Much the same could be said about Margells. The beach chalet sleeps four in two bedrooms and has a sitting room, kitchen and full bathroom, plus a verandah. There is parking for two cars. 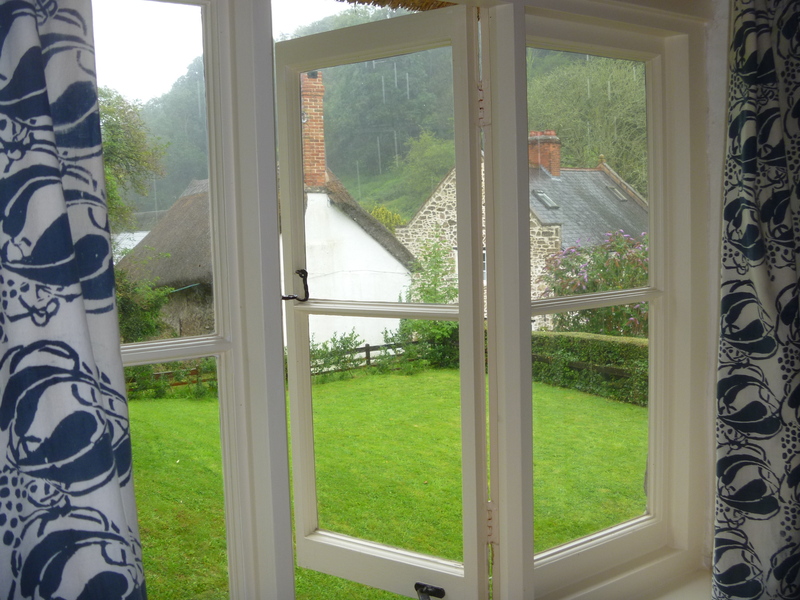 Margells looks like “any old” quaint Devon thatched cottage but inside has three large bedrooms a big sitting room and dining kitchen. So, more spacious manor house than bijou cottage. I would have loved to have seen the garden but it was really just too wet. The library is a standard item in the Landmark property inventory. There’s a small but growing ‘library’ at the beach chalet too. 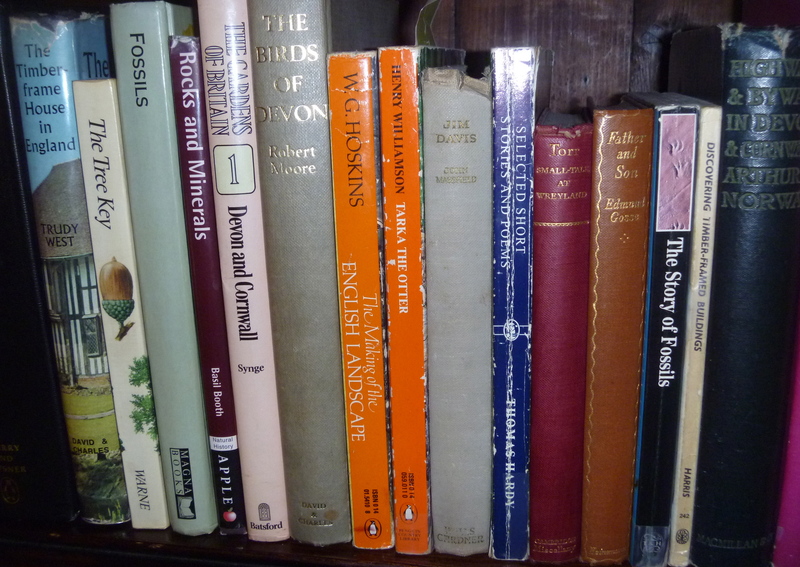 At Margells I was expecting to find the Jane Austen, the John Fowles, some Thomas Hardy books, books on geology, fossils, the seashore, on thatching and some poetry. I was pleased to see Little Pig Robinson written and illustrated by Beatrix Potter during a visit to Lyme Regis. 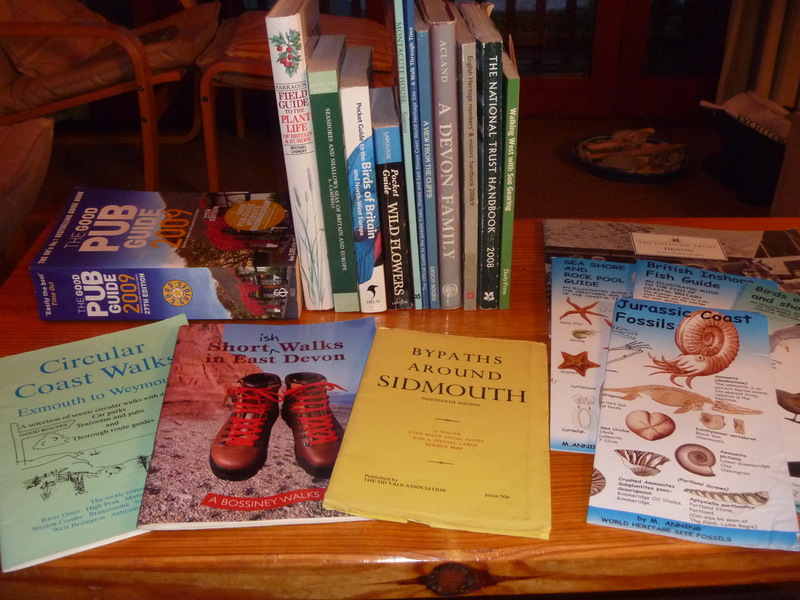 The crossover with the beach library is in the nature section – field guides are prominent at both : birds, wild flowers, seashore guides, plant life also local walking guides and books about the local geology/fossils. 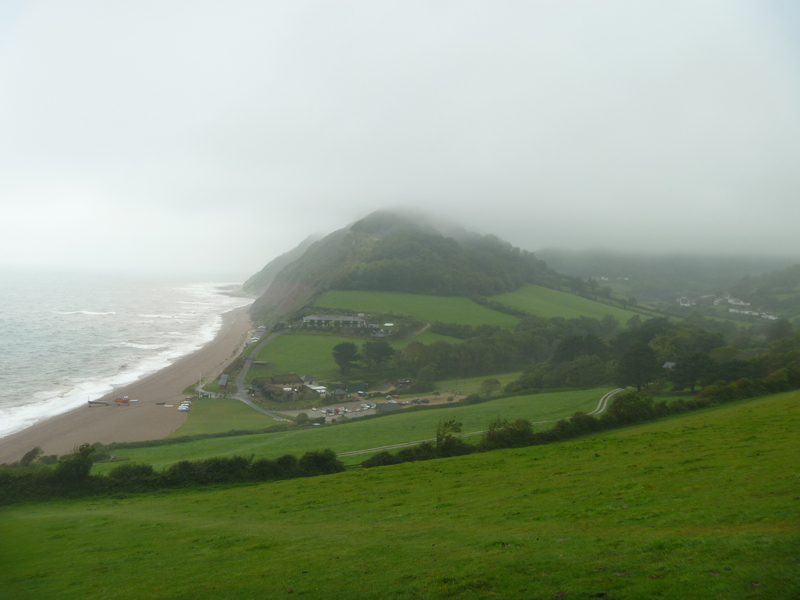 We are, after all, on the Jurassic Coast a World Heritage site designated in 2001. 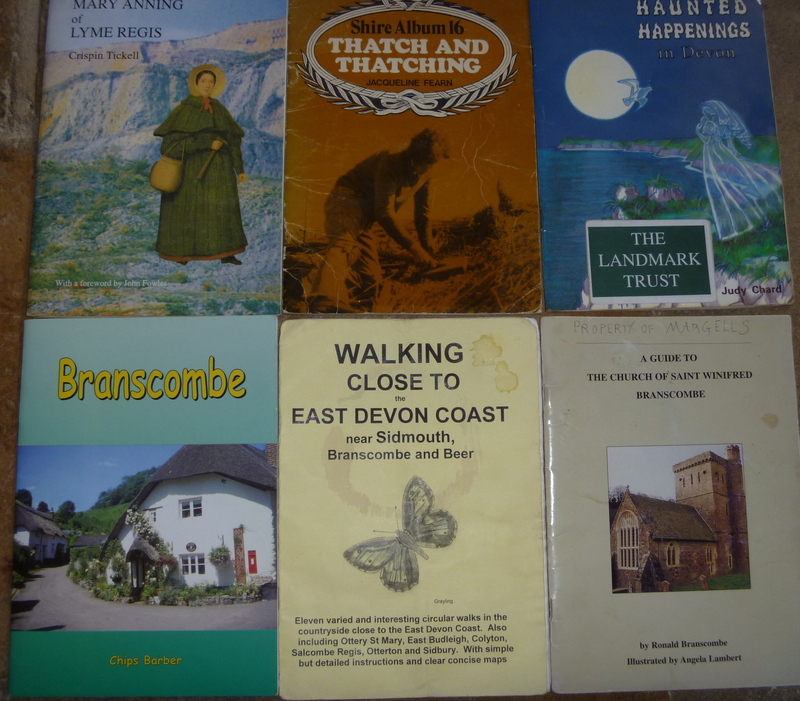 The chalet has some excellent maps – both an OS Explorer and a Landranger centred on Branscombe, a new local footpath map and lots of OS maps for areas further afield in Devon, Dorset, Cornwall and Somerset. 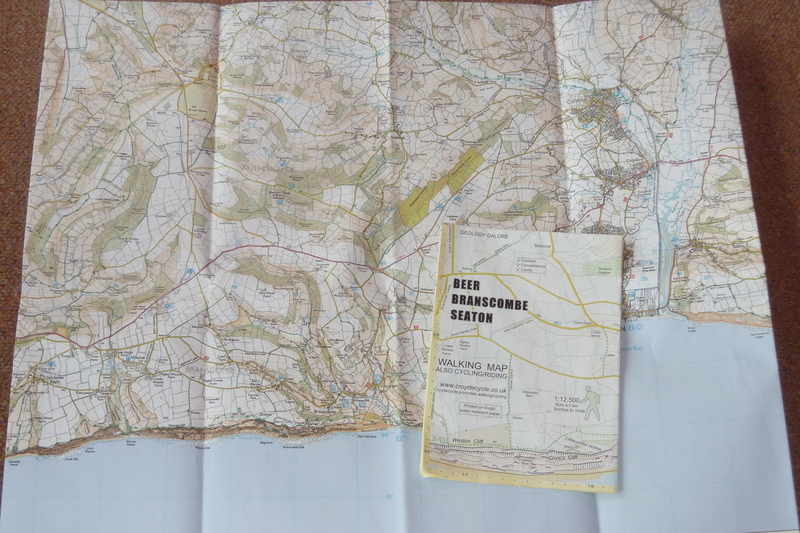 No getting lost round here and plenty of inspiration for walking trips near and far! This entry was posted in Landmarking with Milady, Milady by the Sea. Thank you, Lynne. Soggy indeed! I expect lovely bright clear dry sunny days in October and hope to enjoy one of them with you. Again, again, again: I thank you for visiting the very fascinating and unknown-to-me houses, libraries, countrysides and bits of England that I would choose to visit if I could – and then for sharing them, in your absolutely perfect, scholarly but unobtrusive style, with exactly the sort of photographs I love most: evocative but not intruding a photoshopped artsiness, just showing, simply and plainly, what you found beautiful – and what I would find beautiful too if I were standing by your side. Yours is now one of my favorite blogs. There are so many wonderful ones, of course, but I am so busy I can only read a few (if I read all the great book blogs I would have to retire to find the time). Yours doesn’t overwhelm me. It just gives me a few moments’ happy refreshment for my mind and spirit. There! Thank you so much for your appreciation, Diana, so very kind. Even the simplest, plainest of posts takes me an age to produce – hence an average of only 7 posts per month! Enough for me and enough for you! 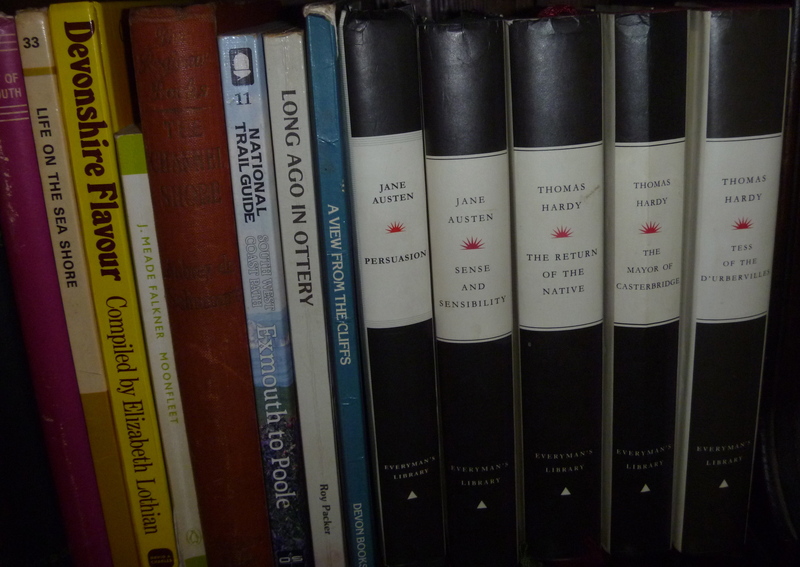 As I pressed ‘publish’ it did cross my mind that maybe I should have explained why I expected to find Austen, Hardy and Fowles at a cottage library a few miles from Lyme Regis but then I thought that most people who read will Miladys will surely know the reasons why.